WindRestrictor® is in the business of extending our brand of products as much as possible. Recently, we've decided to make glowplates for the Charger, Challenger, and Chrysler 300. This begs the question, what do we know about Chrysler? Known as one of the big three, Chrysler has long been a staple in the auto industry. Since coming under the Fiat banner, it's only gained steam. Let's take some time out to see what exactly made this company such a force in the automotive industry and its roots in American ingenuity that has since expanded to global engineering masterpieces. Remember, these are all my words and not necessarily those of WindRestrictor®. So, let's get into it! The Chrysler Corporation was started in 1925 by Walter Chrysler. 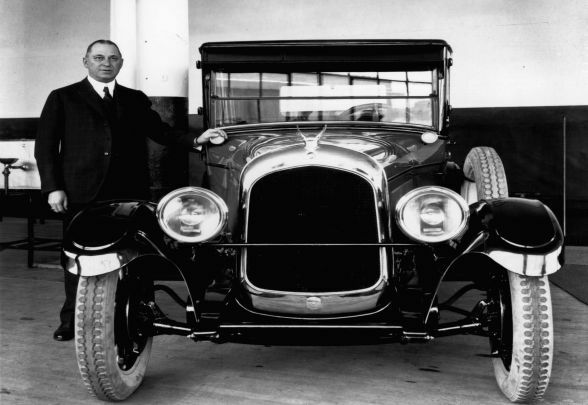 Walter (who once worked for General Motors) took controlling interest in the faltering Maxwell Motors and instantly started improving their vehicles. Another interesting piece of nostalgia is Mr Chrysler took the unprecedented step of marketing to women. Walter made some important acquisition shortly after taking over Maxwell Motors. With his purchases of the Dodge Brothers Company and Fargo Trucks. Fargo and Dodge later came together as what we know now as Dodge Trucks. Later, Plymouth and Desoto were established under the Chrysler banner. The company was on its way up and a number of brilliant business moves were far from over. After World War II Chrysler found itself in a tough spot due to decreased sales and market share. The decision was made to borrow 250 million dollars from Prudential. This lead to further expansion, updated designs and greater employment opportunity for the leading engineers of the time. Later, Chrysler opened up a Chrysler Europe division. However, this was later sold to PSA Peugeot Citroen. The spread into Europe was an untimely overreach and ultimately proved to be a costly mistake. The 70s came and so did more economic issues. A partnership with Mitsubishi proved somewhat beneficial and Dodge and Plymouth vehicles were sold that were actually the Japanese manufacturer's vehicles. The economic woes were still there, however, and a loan from the U.S. government of over one billion dollars was the only thing that saved them from bankruptcy. The company was very much on the ropes and the only thing that saved them was their new CEO Lee Iacocca. Iacocca was well-known for his development of the Mustang and the super fabulous king of legendary American cars, the Pinto. In all seriousness, he's seen as one of the greatest CEOs in American history. This fact would show with his leadership at Chrysler. One of the things Lee brought with him from Ford was the mini-max project. The mini-max project had been shut down by Henry Ford but was brought to Chrysler with great success. Seeing Toyota have great success in Asia and Latin America, Chrysler proved the Plymouth Voyager and Dodge Caravan to be certified successes. Later in the '80s, Iacocca led Chrysler took over AMC. This merger led to the creation of the Eagle division (which was short-lived) and the wildly successful Jeep. The Grand Cherokee's introduction coincided with the retirement of Lee Iacocca. This, however, was not the end of Lee's involvement at Chrysler. An attempted hostile takeover of Chrysler was attempted by Iacocca and billionaire Kirk Kerkorian in 1995. Kerkorian as an Armenian-American businessman and philanthropist most famous for mega-buildings in Las Vegas. The most well-known of those being the MGM Grand. Unfortunately, the takeover was a flop. This led to a five-year gag order against Lee and Kirk. By the mid-2000s Iacocca had returned as a Chrysler pitchman touting their employee pricing program, along with many other celebrities. 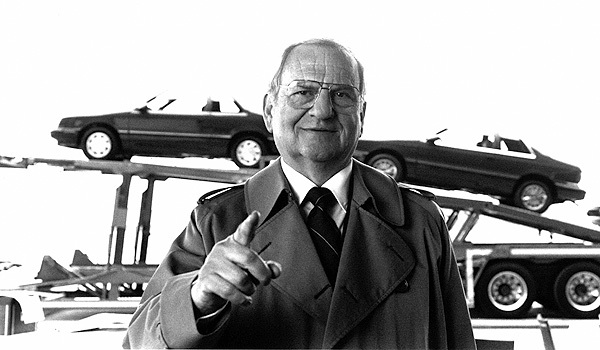 Instead of normal compensation for his services, Lee's foundation "Iacocca Foundation" for the treatment of diabetes was donated one dollar for every automobile sold. Even more issues with finances caused the company to go through different hands before landing in the hands of Fiat (the Italian carmaker) on January 1st, 2014. The company reorganised and is now known as FCA US LLC. Fiat started all the way back in 1899. After the merger with Chrysler, FCA is now the seventh largest automaker in the world. Not too shabby for a company that was on the brink of not existing just a few years ago. Currently, FCA houses many notable makes and models including; Fiat, Chrysler, Alfa Romeo, Jeep, Ram and Maserati. The company ran into a little bit of trouble only a few months ago concerning emissions regulations policies, however, the company is going strong again due to great new leadership, continued excellence in engineering, and a revitalised market. The sky seems to be the limit for one of the big three American Automakers! Mopar is the wing of FCA that makes the parts, handles the customer care and actual servicing of the vehicles. Mopar is an amalgamation of the words "motor" and "parts". It is now used in a bigger sense for FCA cars. For instance, Fiats now are Mopars. Many groups, organisations and clubs have been made in honour of Mopar. The presence of Mopar on the world-wide web is extraordinary. Any quick search on Facebook or on a broader scale Google returns 100s if not 1000s of results. Proof that FCA is making a huge splash among younger enthusiasts as well as keeping loyal followers. Thanks so much for checking our blog entry about the history of Chrysler. We hope you enjoyed it! A quick reminder, if you have any suggestions, ideas, or corrections I'm only one email away. You can reach at paul@windrestrictor.com . I love hearing from customers, even if they may not 100% agree with me.